NB: a sitstart is possible without changing significantly the difficulty. 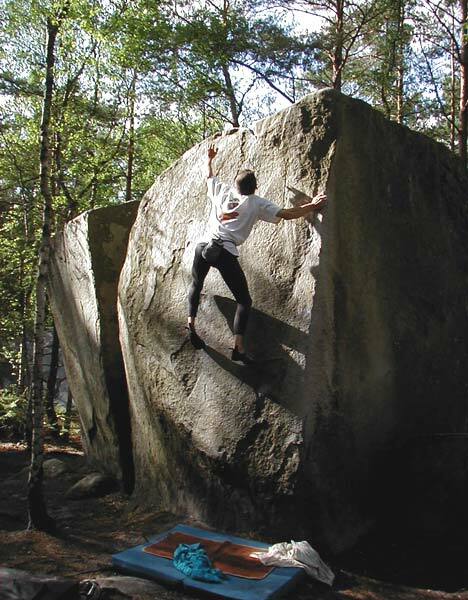 The boulder in the picture is the left side of Angle Ben's, L'angle Facial, 6b. The Arête du Cervin, or 46 white, is also called Face Ouest du Dru, 6a, direct 6c.